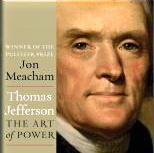 Thomas Jefferson: Review by Lucas A. Powe, Jr.
As I have noted before, for a number of years we have been the beneficiaries of a golden era of biographies of the American founders. With a single exception, these biographies have elevated their man (it’s always men) and explained how important his contributions to the Revolution or New Nation were. That single exception is Thomas Jefferson, whose reputation peaked a half century ago. Over the subsequent years, slavery and his relationship to Sally Hemings, his efforts to undermine Washington’s policies while still serving in the Administration, and the contrast between his extravagant lifestyle and republican principles have all eroded his once towering stature. 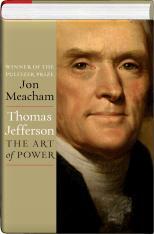 Pulitzer Prize winner Jon Meacham’s new biography Thomas Jefferson reverses that trend by giving the reader a Jefferson for the Twenty-first Century. It’s not the hagiography of Dumas Malone, but rather a balanced look at a complex man. Jefferson’s life and politics were so varied that no short review could encompass much, but one of the three things that Jefferson wished to be remembered for was his role as a founder of the University of Virginia. This ties into his truly positive experience at the College of William and Mary (then the school of the Virginia aristocracy). Jefferson often dined at the Governor’s Palace with three individuals. One was the royal governor, Francis Fauquier, a lover of fine food, good music, and the good life generally. A second was a Scot, William Small (whose six years at the college overlapped with Jefferson), who taught mathematics and science and who introduced Jefferson to the Scottish Enlightenment. The last was George Wythe, the lawyer who trained all the top Virginia lawyers (and for whom the law school is now named). That is real dinner company and for the rest of his life Jefferson tried to replicate it. It is rare when I finish reading a big book that I say that I wish there had been more. But that was exactly my feeling on completing Jon Meacham’s Thomas Jefferson. It is a fine biography of a great man (albeit with significant faults) for our time.